Volume? Check. Colour? Check. Silky Smooth To The Touch? Check. Natural Hipster Coiff? Yeah, another Check. Anyone who has had a baby, or, in fact, has ever just carried one around in public will know that you instantly become the invisible man/woman behind the infant. A prop that has the sole purpose of bringing this babe to the masses. And I’m totally cool with that. Ya gotta give the public what they want. But when your baby starts to pull admiration for his tresses, in particular after you’ve hit the salon for a long over due ‘do’, it’s time to accept the fact that no matter what you do, what you wear or indeed whether you’re wearing anything at all – this kid will be the king of the focus-pull. Don’t take it personally. I mean, you made the kid, so bask in the baby-love and remember this: many hilarious hairdos are at your fingertips for future birthday embarrassment. Small victories. 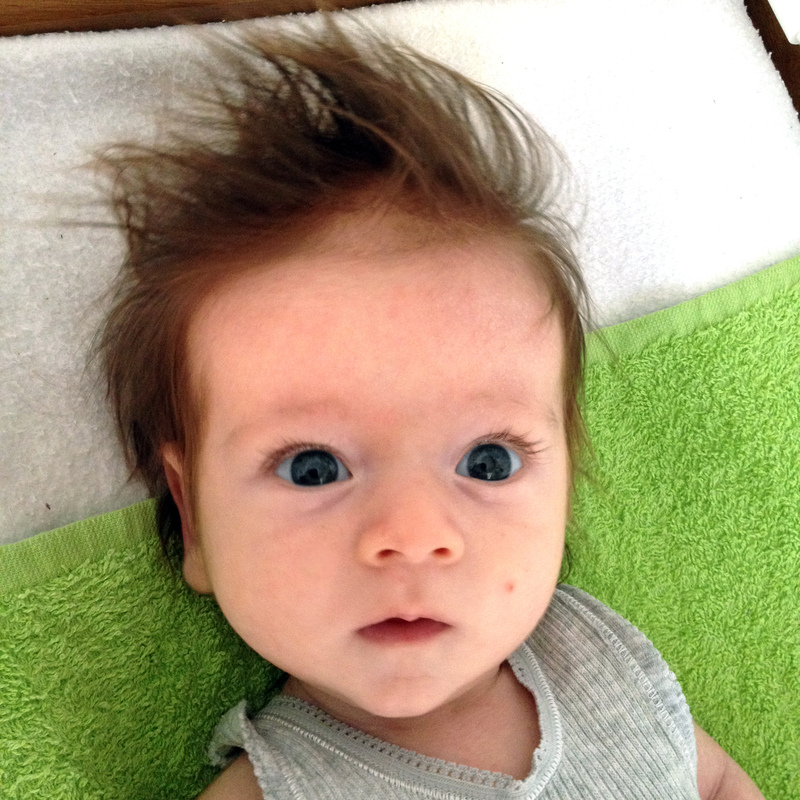 This entry was posted in FFS Friday and tagged 9 week old, baby, baby hair, hair. Bookmark the permalink.